Grand Duke Henri and Grand Duchess Maria Teresa paid a visit to the Royal Military Academy Sandhurst in the United Kingdom on Saturday to visit their son Prince Sébastien. 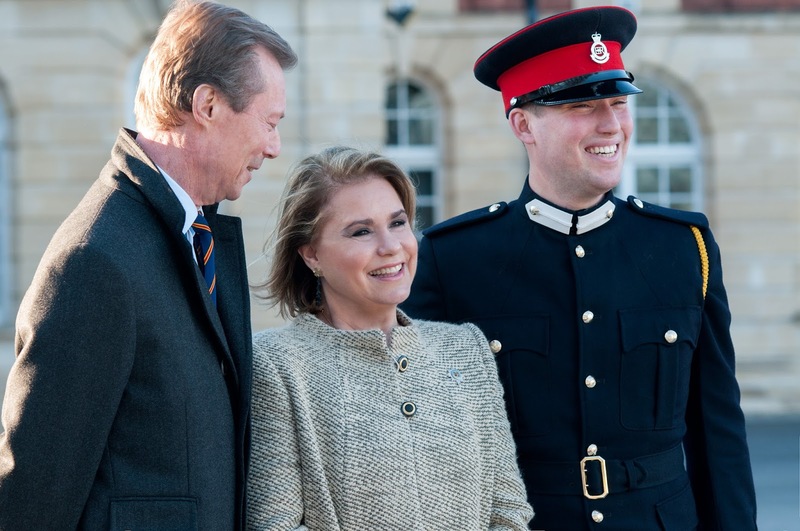 The grand-ducal couple's youngest is currently undertaking the 44 weeks long comissioning course at the prestigious academy, thus following in the footsteps of several family members including the Grand Duke himself. 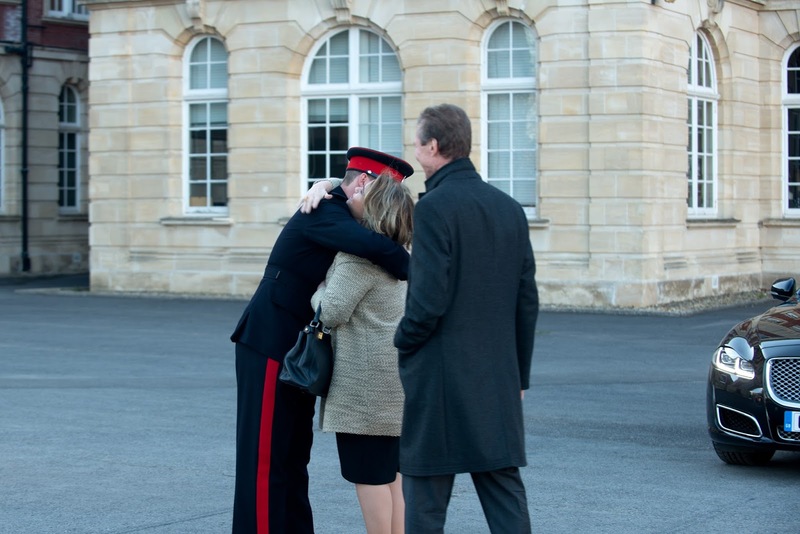 At Sandhurst, they were welcomed by Major General Paul Nanson. 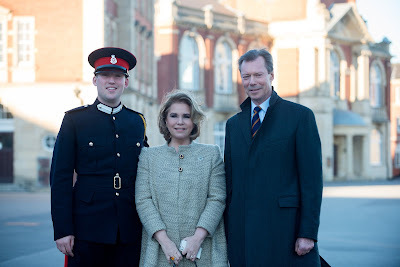 Grand Duke Henri and Grand Duchess Maria Teresa also participated in a gala dinner of the Normandy Company, of which Sébastien is a member, on Saturday. 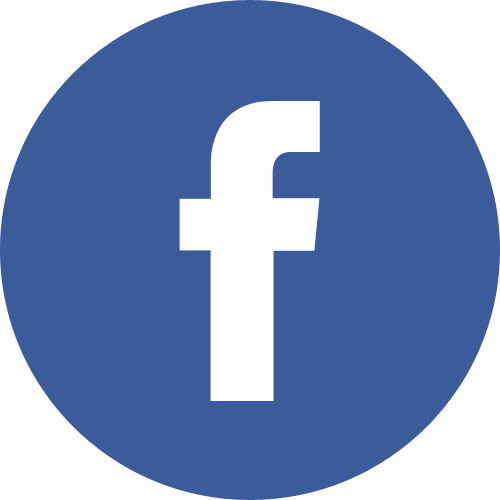 The Event was also attended by King Abdullah and Queen Rania of Jordan. 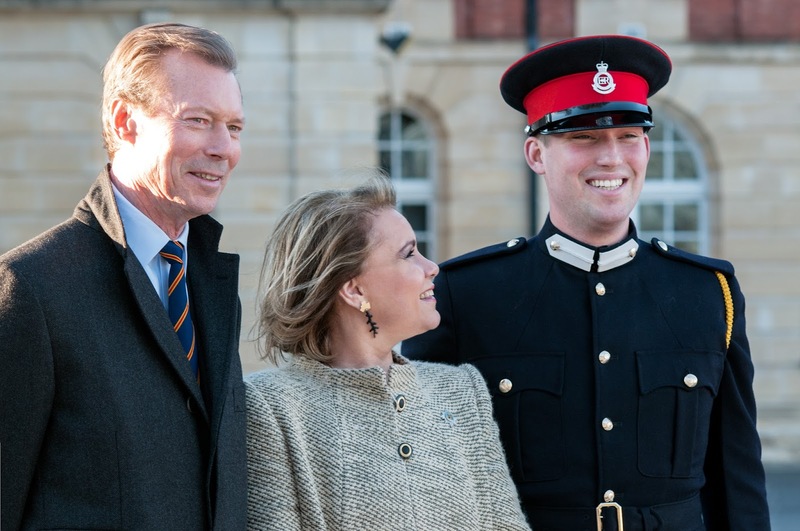 Curious minds wonder whether Prince Sébastien is actually in the same course as Crown Prince Al Hussein of Jordan... We will see on August 11 at the latest - the day of the Sovereign's Parade that will surely bring out a whole array of members of the Grand Ducal Family.